Using an Automated Attendant will save you a considerable amount of time and money. Without an Auto Attendant, it is necessary to have staff constantly standing by to receive and direct calls. This presents many problems for the caller and your staff, which means that it will ultimately hurt you. Thankfully, you have an alternative to turn to that does not reduce the quality of your business. An Auto Attendant allows for the ease and convenience of being quickly directed to the individual that is trying to be reached while still allowing for the comfort of being able to reach an operator. When somebody calls your business’ number, the auto attendant will play a recording that you are able to customize yourself. 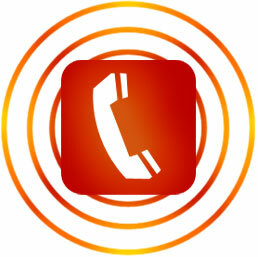 The caller can press the numbers on their phone, or depending on the attendant, the caller may just be able to use their voice to dictate where they would like their call to be directed. You can still allow an option for the auto attendant to transfer the caller to an operator, thus providing the best of both worlds for the caller, and for you. This will ultimately save you and your staff and great deal of time and money, while maximizing your potential for success. An auto attendant will prevent you from either having to hire more operators or from missing calls when there is a high call volume. And if you have dozens of extensions, the caller will appreciate how much faster the auto attendant can get them speaking to the individual that they want to talk to.